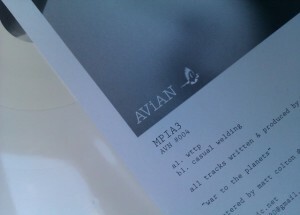 A new bird is about to land on Shifted’s label Avian. MPIA3 is a new moniker of an artist from London who prefers to conceal real identity for the time being. I can only affirm that the act is not associated with the Buckingham Palace. With the new signing, Avian enters the world of acid, a phenomenon resistant to any climatic and political change. Both tracks kick big time and are made for booming systems. “Wttp” is something I would describe as acid tune, where functional tightness is somehow diluted by a merry sequence, but basically does not spoil the game characterised by skilled use of tension-filled drops and EQ control.